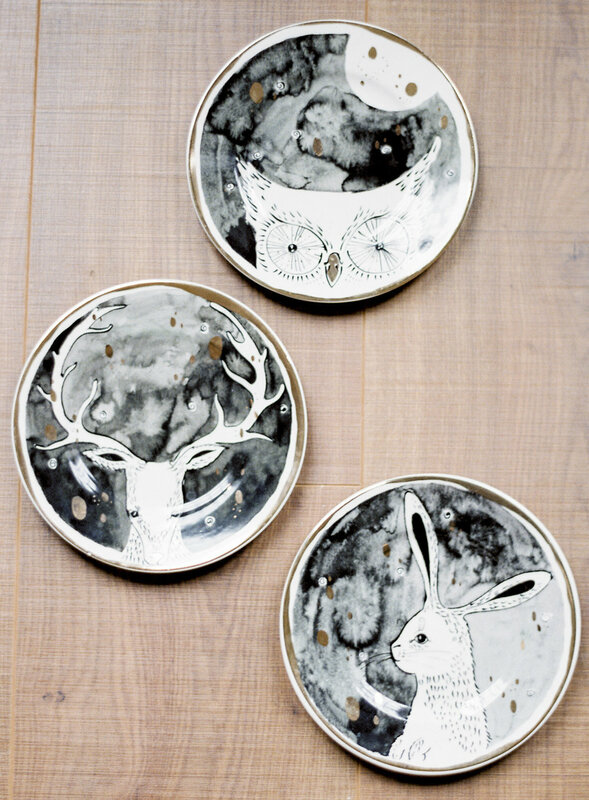 Anyone who knows me knows that I am obsessed with Anthropologie. From their clothing to their houseware - I cannot walk into their store without purchasing at least one item. 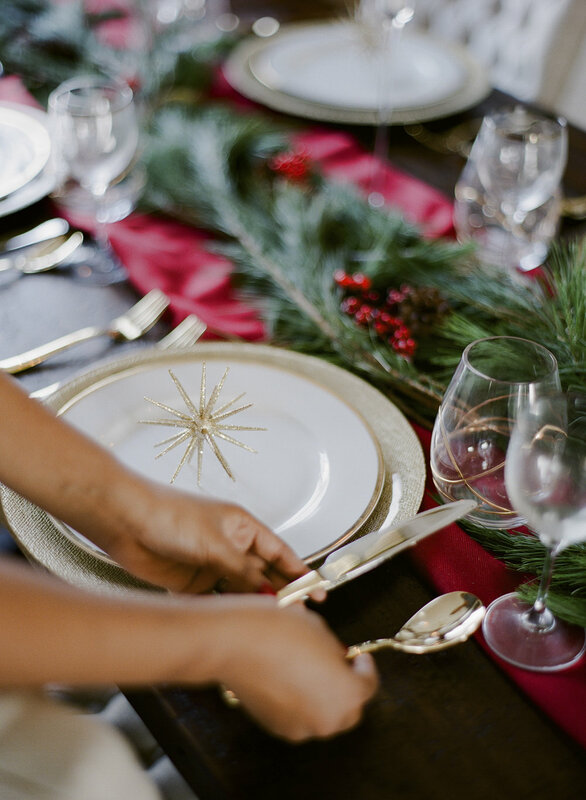 Needless to say when it came time to put together some of my favorites for a holiday tablescape - Anthropologie was my first stop. 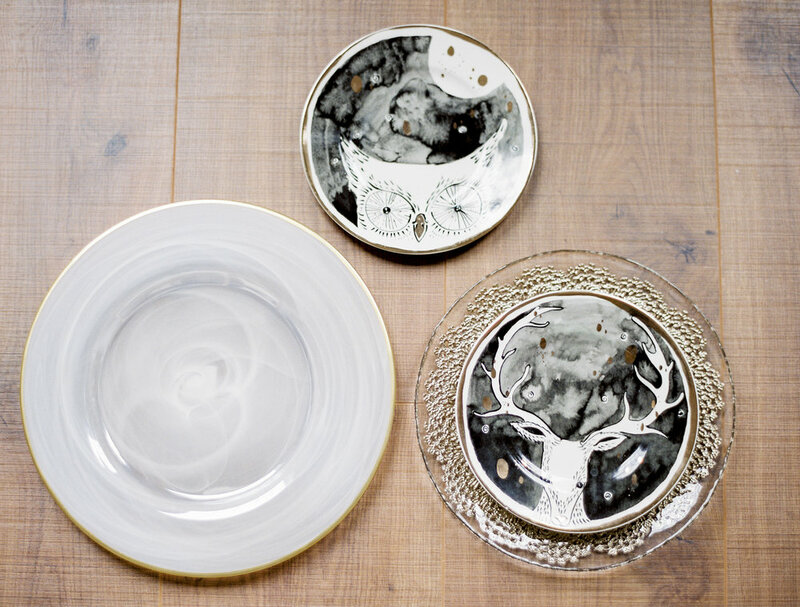 I loved everything about their Moonlit Forrest Dessert Plates, Metallic Lace Plates, and their Ore-Edged Chargers. The glasses were also from Anthro. 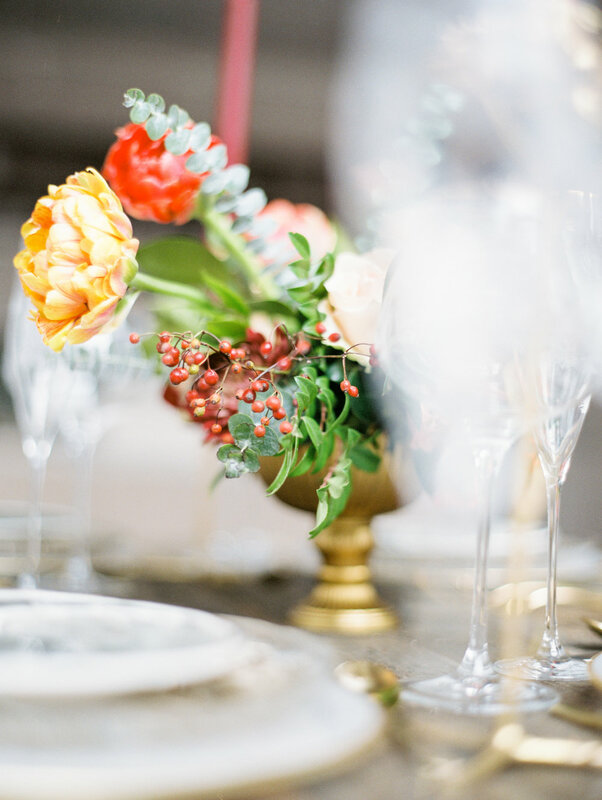 I threw in a beautiful centerpiece from Kaylyn of True Vine Studio and a couple of candlestick holders to complete the look. On the technical side - my film was slightly underexposed. It was a very cloudy day and there was not enough light shining in despite the nearly 10 foot high windows. Lesson Learned: I need to purchase a tripod so that I can shoot at lower shutter speeds without all the hand shake. Gianina is a natural at event planning -- so it was no surprise when she told me she was going to launch an event planning business. 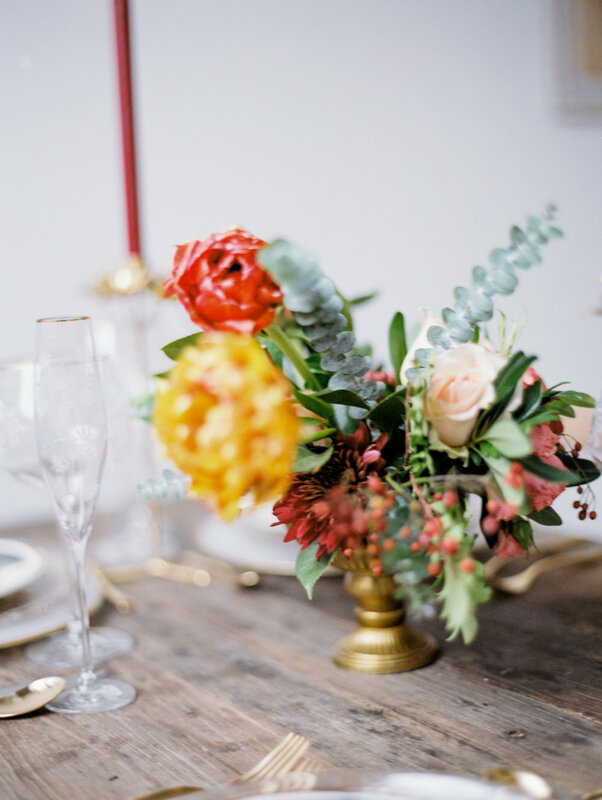 She quickly threw together this holiday tablescape that combines simple garland, holly, deep reds, and a rich oak wooden table. 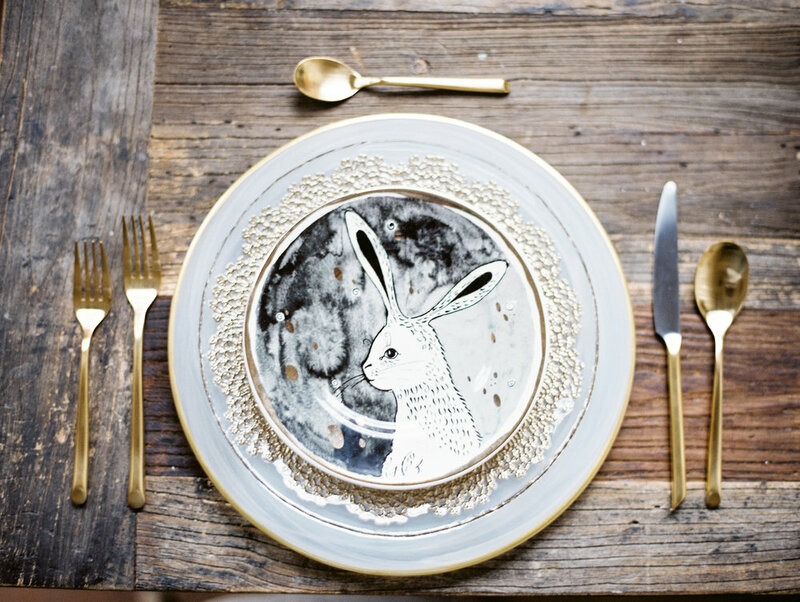 The accents of gold and clean tableware made for a beautiful setting. Her website will be launching soon -- eventsbygianina.com -- be on the look out for it! She's truly amazing at creatively bringing your vision to life!